This entry was posted on Friday, November 4th, 2011 at 1:23 pm and is filed under The Sustainable Spa. You can follow any responses to this entry through the RSS 2.0 feed. You can leave a response, or trackback from your own site. Next week, a few thousand spa/wellness experts will convene at the Mandalay Bay for the annual ISPA conference. An expo floor of product suppliers will host a marketplace catering to spa directors, owners, and consultants. This begs the question: Do the buyers know what they want and how to go about looking for it? Do they understand the significance of their choices? At this fall’s Green Spa Network Congress, one afternoon was dedicated to helping eliminate confusion in evaluating and selecting personal care products. 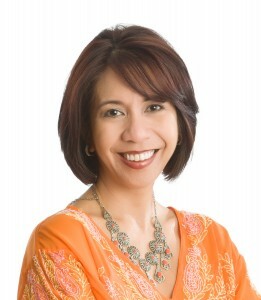 With all the ‘greenwashing’ claims, even the most seasoned spa director can be led astray. 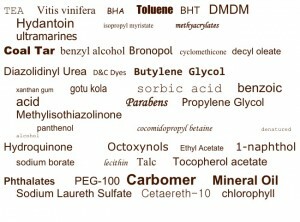 And unlike drugs, the FDA doesn’t review cosmetic/personal care ingredients for safety before they hit the market. In fact, personal care products and make-up often contain toxic chemicals linked to cancer, infertility, hormone imbalances, birth defects, neurological issues and other health problems. Beth Greer, author of Super Natural Home, shared her personal health crisis that prompted her to re-evaluate her lifestyle and environment, identifying and eliminating toxins that she never suspected she was being exposed to. She shared some hard facts: 98% of more than 23K skincare and cosmetic products on the market contain ONE or MORE ingredients never evaluated for safety by FDA. The average consumer uses 15-25 products/day. WHAT WE PUT ON OUR SKIN MATTERS… OUR SKIN IS NOT A BARRIER. 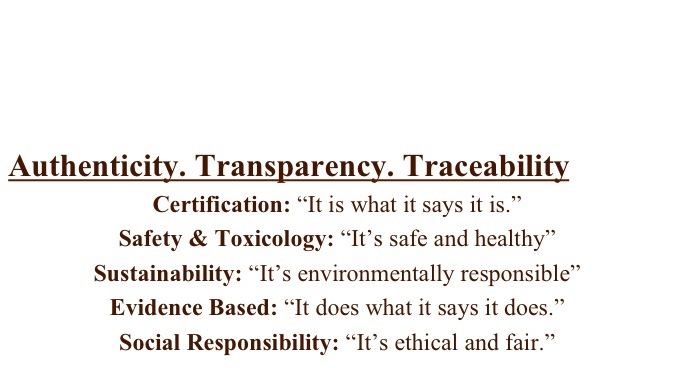 Universal Companies Sustainability Specialist Lisa Sykes charges us, the spa industry, with the responsibility of being models for conscious living. 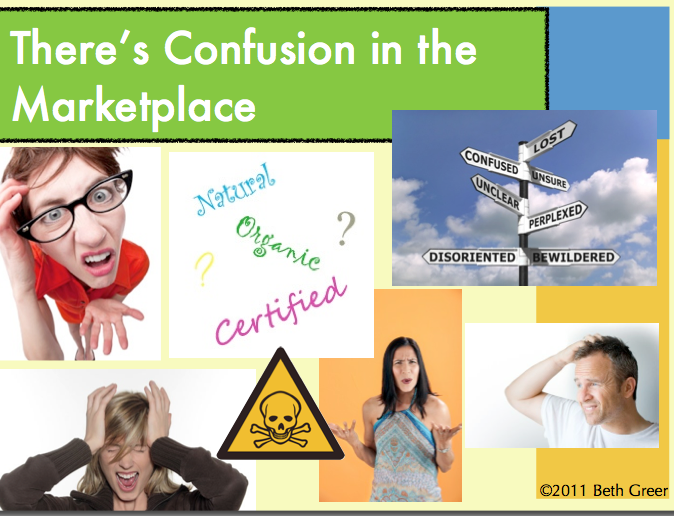 “Personal care products are part of the detox process,” per Sykes. “In addition to nourishing the skin, they should enhance the spa atmosphere for relaxation, balance, and clarity. Personal care companies have the responsibility to support wellness centers/spas in their endeavor to provide cleansing and conscious living.” Her advice to us: Ask Questions; Analyze Marketing Messages; Check for Consistency; Do your Research. But how do you do that if you don’t know what to look for? • Phthalates: Landmark Korean study last year linked phthalates to ADHD in 8-11 year olds. Researchers at Mount Sinai School of Medicine recently found babies born to mothers exposed while pregnant 2.5 times more likely to develop attention and behavior problems. 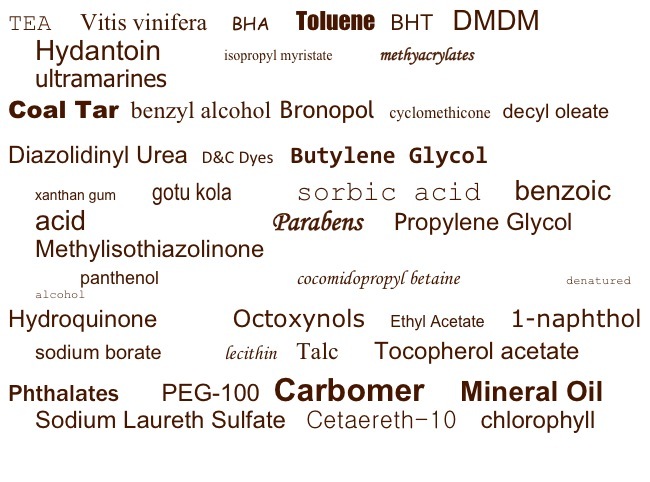 Many products with “fragrance” or “perfume” contain phthalates—but not all. • Hydroquinone: A skin-lightening agent now banned in many countries. Can cause serious skin irritation, swelling, and thick skin; may be carcinogenic. • Talc: Related to asbestos. in powder formulations, particles are easily inhaled and may lead to tumors in lungs and ovaries. Ingredients aren’t the only ones we need to look out for. The personal care and beauty products industry accounts for approximately a third of all landfill waste. 40% of women surveyed indicated that eco-packing was part of their decision when buying make up. As a result, P&G and Estee Lauder, two companies that own 28 brands between then, are switching to 100% renewable energy, eliminating the use of nonrenewable resource + petro-derived plastic as well as reducing the packaging size. We can consider more earth-friendly options like recyclable packaging, screen printing and soy inks, bamboo, and FSC certification (verifies products from the forest of origin thru the supply chain). 4. 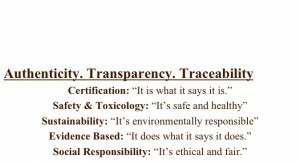 Certified Green – by whom? 10. Environmentally Friendly, Eco-safe – The US Federal Trade Commission considers these phrases to be too vague to be meaningful to consumers. Excellent article, well written information, and important resources. Thank you Rianna, and looking forward to your lecture at ISPA next week ~ all the best! Very informative. It is not pushing people what product to pick. The suggestions are making us think twice before we decide what to buy. Thank you for the information. A good reference for the concern public. Great article! I was sad I could not make it to the conference this year but glad to get this shared information.